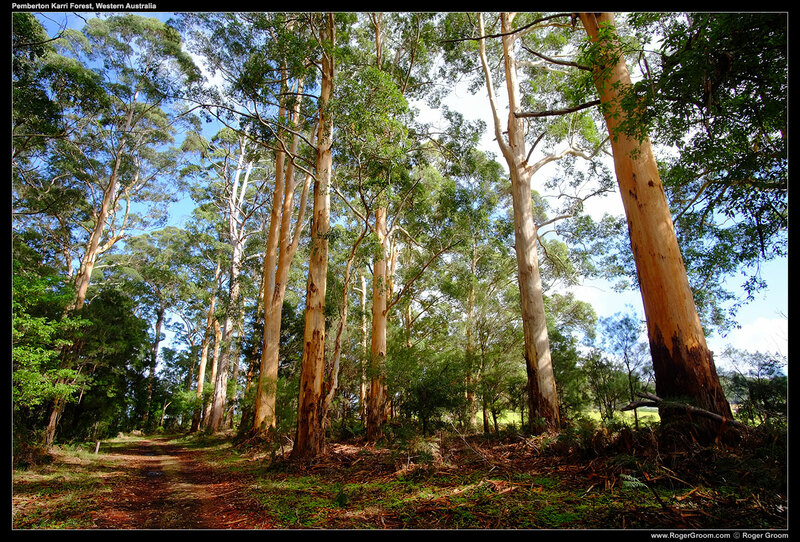 Karri Forest in Pemberton, Western Australia. There were many good photographs captured in a recent (May 2017) family holiday to our frequent stomping ground of the Karri Forests of Pemberton, Western Australia. This one photograph I keep coming back to, least expected though I have to admit. I snapped the photograph when quickly walking back from a short walk around the Pemberton mountain bike tracks. The tracks weave up and down the hill side of Kari forest opposite the town. Generally I’d say it’s not the most picturesque of Karri forest spots but of course it still has photo opportunities. This photograph is straight out of the camera with no editing at all. It was taken using my Fuji X-E2 in film simulation Velvia mode. Velvia is a throw back to film days, where I started with my photography. Many of the photographs on this website still are scanned images from my film photography days, using Velvia and Provia slide films which were my favorite. The latitude, colours and definition straight out of the Fuji X-E2 are often “wow” and just perfect. The lens is a 12mm Samyang. I particularly like how this photograph give some perspective to the enormous height of the Karri trees, even relatively young ones like these. I would normally avoid the perspective given by this 12mm lens in this situation, but it has worked out well in this case. The patchy cloud and blue sky in the distance also works well for the image, giving some depth where you might ordinarily have just a uniform blue or cloudy sky. That same partly cloudy effect lets some nice warm sunlight shine through the trees from the neighbouring paddocks.